TriCaster is generating quite the buzz at SXSW. Yesterday as I was driving into Austin for the Ignite SXSW event, I had the honor of doing a phone interview with San Antonio Express-News writer, Valentino Lucio. Check out the article about the influence that San Antonio tech companies are having on SXSW. Yes.. NewTek gets some love! Still, there are companies that want more exposure. San Antonio-based NewTek is using the event to showcase its portable live-production and 3-D devices. 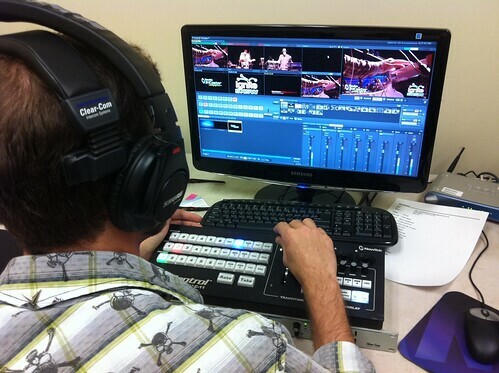 Philip Nelson, senior vice president of strategic development at the firm, said that NewTek’s TriCaster, a portable production device will be used to broadcast live many events for SXSW participants, including Taylor Guitars and MTV. Diggnation LIVE dominates SXSW and TriCaster was there!